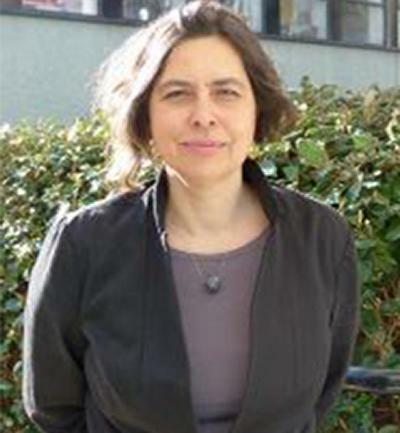 Dr Silke Roth is Associate Professor in Sociology within Economic, Social and Political Sciences at the University of Southampton. My research interests include understanding the intersection of individual and social change through studying biographical and organisational processes. Dr Silke Roth joined the Department of Sociology, Social Policy and Criminology in 2005. After studying at the Free University of Berlin and the University of Connecticut (Ph.D in Sociology, 1997), she did research on Weimar, Cultural Capital of Europe 1999 at the Bauhaus University Weimar (1997-1999). From 2000 until 2005, she was German Academic Exchange Service (DAAD) Visiting Assistant Professor at the University of Pennsylvania. She is a Fellow of the Higher Education Academy. She is interested in meaningful work and engagement for social justice. Her areas of research include the participation in and the impact of voluntary organisations, social movements and non-governmental organizations and the military. Her publications include The Paradoxes of Aid Work. Passionate Professionals (Routledge 2015), Gender Politics in the Expanding European Union (Berghahn 2008) and Building Movement Bridges. The Coalition of Labor Union Women (Greenwood 2003), journal articles in Gender & Society, Information, Communication and Society, Interface, Journal for Risk Research, Social Politics, Sociological Research Online, Sociology, Third World Quarterly, as well as numerous book chapters and edited volumes. My research interests include social movement studies, humanitarian studies, sociology of gender, sociology of work, and military sociology. My work as a political sociologist has always focused on questions of solidarity, inclusion and exclusion. I have a longstanding interest in political socialisation processes and the opportunities and obstacles of political participation and involvement in third sector organisations. I have investigated this in the context of women’s participation in the American labour movement. My intersectional perspective on the Coalition of Labour Union women addressed the efforts to organize across women across class, ethnic and other markers of difference. I have developed the concepts ‘bridging organisations’ and – with Myra Marx Ferree (University of Wisconsin-Madison) ‘exclusionary solidarity’ to address processes of coalition building between women’s movements and labour movements. At the transnational level I have studied the impact of the Enlargement of the European Union on women’s movements and women’s NGOs in a comparative perspective. I written about the similarities and differences of women’s movements in Europe and how their emergence and development are shaped by the role of the Catholic Church, authoritarianism, democratization processes and transnational opportunity structures such as the European Union and the United Nations. My interest in political processes includes macro-, meso- and micro-levels. My biographical perspective on paid and unpaid activism in social movements, trade unions, non-governmental organisations, and the military makes an important contribution to the understanding of the sustainability of activism and meaningful work over the life-course. This includes my work on Occupy as well as my study of people in humanitarianism and development cooperation and more recently veterans’ transitions to civilian work and life. My book ‘The Paradoxes of Aid Work. Passionate Professionals’ (2015, Routledge) contributes to the emerging sociology of international relations and humanitarianism. It demonstrates that aid work perpetuates existing global inequalities and the necessity of an intersectional perspective to understand how racial and national hierarchies are reproduced within the aid sector. In collaboration with Markus Luczak-Roesch (Victoria University Wellington, NZ), I have extended my analysis of aid relationships by addressing what impact the use of information and communication technologies (ICT) have on aid relationships through a critically assessment of digital humanitarianism. Furthermore, I am interested in the relationship, similarities and differences between aid organisations and the military. Aid organisations rely on logistical and security support from the military and have been employed to ‘win hearts and minds’ while the armed forces are engaged in local reconstruction teams and the training of police and military forces. I have begun to investigate skills acquisition in the armed forces and the transfer of such skills to the civilian private, public and third sectors. Combining my interest in meaningful work and bridging organisations, I am currently studying the disaster relief organisation Team Rubicon which actively recruits and draws on the skills of military veterans. I belong to the steering group of the Work Futures Research Centre at the University of Southampton and have been involved in organising the events “Work, gender and generation in the Southampton city-region: exploring local employment change” (May 2015) and “Intersectional Perspectives on Working in Higher Education – Diversity, Collegiality, Productivity and Technology” (November 2016). I am particularly interested in supervising PhD research that address work, activism, biographical and organisational processes in a broad range of local, national, transnational and web-based contexts. Miethe, I., & Roth, S. (2016). Bildung und Soziale Bewegungen - eine konzeptionelle Einfuehrung. Forschungsjournal Soziale Bewegungen, 29(4), 20-29. Roth, S. (2016). Professionalisation and precariousness: perspectives on the sustainability of activism in everyday life. Interface: a journal for and about social movements, 8(2), 29-58. Roth, S. (2013). Alltag und Aktivismus - Schluesselfiguren in Familie, Nachbarschaft und Arbeit. Forschungsjournal Soziale Bewegungen, 26(4), 43-51. Roth, S. (2009). Feminist mobilization in the Expanding European Union [in French]. Chronique Feministe, (102-103). Roth, S. (2005). Bridging the women's movement and the labor movement: the Coalition of Labor Union Women (CLUW) [in Japanese]. The Bulletin of the Society for Study of Working Women, 48, 36-43. Roth, S. (2004). One step forwards, one step backwards, one step forwards: the impact of EU policy on gender relations in Central and Eastern Europe. Transitions, XLIV(1), 15-27. Roth, S. (2004). Opportunities and obstacles - screening the EU enlargement process from a gender perspective. Loyola University Chicago International Law Review, 2(1), 117-127. Roth, S. (2002). The meaning of bridging organizations for the political participation of women. Femina Politica, 10(1), 30-37. Ferree, M. M., & Roth, S. (2001). Introduction: Gender blind discourse. Gender relations and women's movements in international perspective. Forschungsjournal Neue Soziale Bewegungen, 14(2), 4-12. Frank, S., & Roth, S. (2000). Festivalization and the media: Weimar, culture city of Europe 1999. International Journal of Cultural Policy, 6(2), 219-241. Ferree, M. M., & Roth, S. (1998). Collective identity and organizational cultures- theories of new social movements in American perspective [in German: Kollektive identität und organisationskulturen. Theorien neuer sozialer bewegungen aus amerikanischer perspektive]. Forschungsjournal Neue Soziale Bewegungen, 11(1), 80-91. Roth, S. (Ed.) (2008). Gender politics in the expanding European Union: mobilization, inclusion, exclusion. New York, US: Berghahn. Kreutzer, F., & Roth, S. (Eds.) (2006). Transnationale Karrieren: Biografien, Lebensführung und Mobilität. Wiesbaden, Germany: VS Verlag. Miethe, I., & Roth, S. (Eds.) (2003). Europas Töchter. Traditionen, Erwartungen und Strategien von Frauenbewegungen in Europa [Europe's daughters. Traditions, expectations, and strategies of women’s movements in Europe]. Opladen, Germany: Leske + Budrich. Roth, S., & Sara, L. (Eds.) (2002). Feminist movements in a globalizing world: German and American perspectives. (Harry & Helen Gray Humanities Program Series; Vol. 11). Washington DC, USA: American Institute for Contemporary German Studies. Kohli, M., Langehennig, M., Roth, SI., Simoneit, G., Tregel, S., & Freter, H-J. (1993). Engagement im Ruhestand: Rentner zwischen Erwerb, Ehrenamt und Hobby (Activities in retirement. Retirees between employment, voluntarism, and hobbies). Opladen, Germany: Leske + Budrich. Taylor, R., & Roth, S. (2019). Exploring meaningful work in the Third Sector. In R. Yeoman, C. Bailey, A. Madden, & M. Thompson (Eds. ), The Oxford Handbook of Meaningful Work (pp. 257-273). Oxford: Oxford Univeristy Press. Roth, S., & Walker, C. (2019). Gender relations. In W. Merkel, R. Kollmorgen, & H-J. Wagener (Eds. ), Handbook of Political, Social and Economic Transformation (pp. 509-514). Oxford: Oxford Univeristy Press. Roth, S. (2019). Humanitarian NGOs. In T. Davies (Ed. ), Routledge Handbook of NGOs and International Relations (1 ed.). Abingdon: CRC Press. Saunders, C., & Roth, S. (2019). NGOs and social movement theory. In T. Davies (Ed. ), Routledge Handbook of NGOs and International Relations (1 ed.). CRC Press. Roth, S. (2017). Varieties of European women's movements. In A. Basu (Ed. ), Women's Movements in the Global Era. The Power of Local Feminisms. Second Edition (pp. 185-212). Boulder, US: Westview Press. Saunders, C., Roth, S., & Olcese, C. (2015). Anti-cuts protests in the UK: are we really all in this together? In M. Giugni, & M. T. Grasso (Eds. ), Austerity and Protest: Popular Contention in Times of Economic Crisis (pp. 171-190). (The Mobilization Series on Social Movements, Protest and Culture). Burlington, US: Ashgate Publishing. Roth, S. (2015). Keine Beruehrungsaengste. Die Weiberwirtschaft und die feministische Zukunft. In C. Neusuess, & K. von der Bey (Eds. ), Unsere Luftschloesser haben U-Bahn-Anschluss. WeiberWirtschaft - eine Erfolgsgeschichte (pp. 106-109). Berlin, DE: Weiberwirtschaft e.G..
Roth, S. (2011). Dealing with danger – risk and security in the everyday lives of aid workers. In A-M. Fechter, & H. Hindman (Eds. ), Inside the Everyday Lives of Development Workers: the Challenges and Futures of Aidland Sterling, US: Kumarian Press. Agustin, L. R., & Roth, S. (2011). Minority inclusion, self-representation and coalition-building: the participation of minority women in European women’s networks. In A. E. Woodward, J-M. Bonvin, & M. Renom (Eds. ), Social Movements: Gendering Well-Being (pp. 231-248). (Gender and Well-Being). Farnham, GB: Ashgate. Roth, S. (2010). Einsatz ohne Grenzen: Mobilitaetserfahrungen in Entwicklungszusammenarbeit und humanitaerer Hilfe. In I. Götz, B. Lemberger, & K. L. U. S. Schondelmayer (Eds. ), Mobilität und Mobilisierung: Arbeit im soziooekonomischen, politischen and kulturallen Wandel (pp. 81-94). Frankfurt am Main, DE: Campus. Roth, S. (Accepted/In press). Women in the American labor movement. In OC. Karen (Ed. ), Gender and Women’s Leadership SAGE. Roth, S. (2008). Dealing with diversity: the coalition of labor union women. In J. Reger, D. J. Myers, & R. L. Einwohner (Eds. ), Identity work in social movements (pp. 213-231). (Social Movements, Protest and Contention; Vol. 30). Minneapolis, US: University of Minnesota Press. Roth, S. (2007). Gender mainstreaming. In G. Ritzer (Ed. ), Blackwell Encyclopedia of Sociology (pp. 1869-1870). Blackwell. Roth, S. (2007). Social movements, biographical consequences of. In G. Ritzer (Ed. ), Blackwell Encyclopedia of Sociology (pp. 4451-4453). Blackwell. Miethe, I., & Roth, S. (2005). Biographical research and social movement research [in German]. In B. Völter, B. Dausien, H. Lutz, & G. Rosenthal (Eds. ), Biographieforschung im Diskurs (pp. 103-118). Wiesbaden: VS Verlag. Roth, S. (2005). Sisterhood and exclusionary solidarity in a labor women's organization. In H. Flam, & D. King (Eds. ), Emotions and Social Movements (pp. 189-206). (Routledge Advances in Sociology). London/New York: Routledge. Roth, S. (2004). Women's politics and gender mainstreaming: a tenuous relationship. In M. Meuser, & C. Neusüss (Eds. ), Gendermainstreaming: Concepts, Action Fields, Instruments (pp. 40-51). Bonn, Germany: Bundeszentrale für politische Bildung. Miethe, I., & Roth, S. (2003). Gender mainstreaming and EU-Enlargement [in German]. In I. Miethe, & S. Roth (Eds. ), Europas Töchter. Traditionen, Erwartungen und Strategien von Frauenbewegungen in Europa (pp. 63-77). Opladen, Germany: Leske + Budrich. Roth, S. (2003). Goethe and Buchenwald: re-constructing German national identity in the Weimar year 1999. In P. M. Daly, H. W. Frischkopf, T. E. Goldsmith-Reber, & H. Richter (Eds. ), Why Weimar? Questioning the Legacy of Weimar from Goethe to 1999 (pp. 93-106). (McGill European Studies; No. 5). New York: Peter Lang. Miethe, I., & Roth, S. (2003). Introduction: the EU as chance and challenge for women's movements in Europe [in German]. In I. Miethe, & S. Roth (Eds. ), Europas Töchter. Traditionen, Erwartungen und Strategien von Frauenbewegungen in Europa (pp. 9-20). Opladen, Germany: Leske + Budrich. Roth, S. (2003). National and international influences - a comparison of European women's movements [in German]. In I. Miethe, & S. Roth (Eds. ), Europas Töchter. Traditionen, Erwartungen und Strategien von Frauenbewegungen in Europa (pp. 275-285). Opladen, Germany: Leske + Budrich. Roth, S. (2002). Gender, globalization, and social movements. In S. Lennox, & S. Roth (Eds. ), Feminist Movements in a Globalizing World: German and American Perspectives (pp. 4-12). (Harry & Helen Gray Humanities Program Series; No. 11). Washington DC, USA: American Institute for Contemporary German Studies. Lennox, S., & Roth, S. (2002). Introduction: comparing women's movements and feminisms. In S. Lennox, & S. Roth (Eds. ), Feminist Movements in a Globalizing World: German and American Perspectives (pp. 1-3). (Harry & Helen Gray Humanities Program Series; No. 11). Washington DC, USA: American Institute for Contemporary German Studies. Roth, S. (2000). Developing Working Class Feminism: A Biographical Approach to Social Movement Participation. In T. J. Owens, S. Stryker, & R. White (Eds. ), Self, Identity and Social Movements (pp. 300-323). Minnesota, USA: University of Minnesota Press. Roth, S. (2000). Goetha and Buchenwald: reconstructing German national identity through Weimar 1999. In Why Weimar? Questioning the Legacy of Weimar from Goethe to 1999 (McGill European studies; No. 5). Berlin, Germany: Peter Lang. Frank, S., & Roth, S. (2000). The columns of the town. Festivalization, participation, and local identity: the example of Weimar 1999. In W. Gebhardt, R. Hitzler, & M. Pfadenhauer (Eds. ), Events. Soziologie des Außergewöhnlichen (pp. 203-221). Opladen, Germany: Leske + Budrich. Ferree, M. M., & Roth, S. (1999). Collective identity and organizational cultures - theories of new social movements in American perspective [in German]. In A. Klein, T. Leif, & H-J. Legrand (Eds. ), Neue Soziale Bewegungen. Impulse, Bilanzen und Perspektiven (pp. 131-144). Opladen, Germany: Westdeutscher Verlag. Roth, S. (1999). Festivalization and the media: Weimar, culture city of Europe 1999. In C. Fudge, & L. Nyström (Eds. ), City and Culture: Urban Sustainability and Cultural Processes (pp. 476-485). Karlskrona, Sweden: Swedish Urban Environment Council. Miethe, I., & Roth, S. (1999). Introduction. Biographical approaches and paradigms of social movement research [in German]. In I. Miethe, & S. Roth (Eds. ), Politische Biografien und sozialer Wandel (pp. 7-24). Giessen, Germany: Psychosozial. Roth, S. (1997). Developing working class feminism: a biographical approach to social movement participation in the Coalition of Labor Union Women. In S. Stryker, T. J. Owens, & R. W. White (Eds. ), Self, Identity, and Social Movements (Social Movements, Protest and Contention Series; Vol. 13). Minneapolis, USA: University of Minnesota Press. Roth, S. (1997). Garment industry and women: labor movement and women. In M. McFadden (Ed. ), Ready Reference: Women's Issues (pp. 367-493). Pasadena, USA: Salem Press. Roth, S. (1997). Labor movement and women. In M. McFadden (Ed. ), Ready Reference: Women's Issues (pp. 489-493). Pasadena, USA: Salem Press. Thuermer, G., Roth, S., O'Hara, K., & Staab, S. (2017). Online participation in democratic processes: the case of the Green Party, Germany. Paper presented at ECPR General Conference, Oslo, Norway. Roth, S. (2001). The subversion of politics. European autonomous social movements and the decolonialization of everyday life by George Katsiaficas. Mobilization, 5(2), 131-132. Roth, Silke (2017) “Paradoxes of Non-governmental Organisations. Contribution to the Debate ‚The Role of NGOs in the Globalisation debate‘“ifo Schnelldienst, 1, 2017, 1.-2. KW, 12. January 2017, pp 7 – 9. Making a Difference – or Maintaining Global Inequalities? Perspectives on International Aid Work , April 6, 2015. Self-employment and the feminist future – the women’s cooperative WeiberWirtschaft, December 16, 2014.